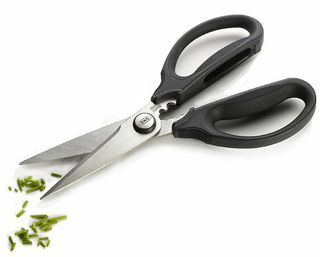 These extra sharp all purpose Oxo Good Grips kitchen scissors feature an herb stripper that easily removes fresh herbs from tough stems. 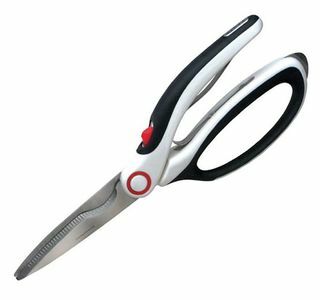 The Zyliss All Purpose Shears offer you exceptionally powerful cutting from stainless steel blades designed to remain sharp. 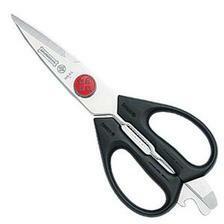 Spring assisted design allows more comfortable cutting. 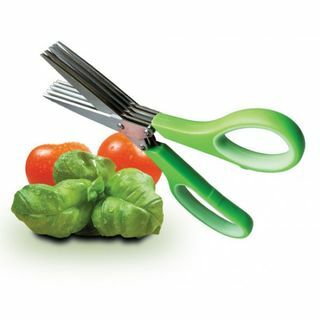 Stainless steel kitchen and household scissor, mold into your hand comfortably, stay sharp longer and cut superbly. Victorinox Classic seven piece Swiss army knife. 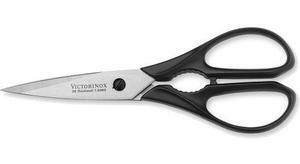 Victorinox Spartan twelve piece Swiss army knife. 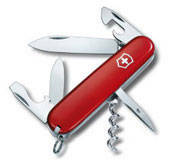 Victorinox Climber fourteen piece Swiss army knife.